Let's assume the Lions stay at #2 and Panthers take Luck #1. Who would you draft #2 if the draft was held today? I think Paterson fills the more pressing need right now but Bowers could make more sense down the line. Vanderbosh finished another year on the IR and don't think he's going to be around much longer. I think it's important to restock and keep the d-line the strength of the team. So Suh doesn't see constant double and triple teams. I guess somebody could make a case for a 3rd player at #2 but right now I'm not seeing it. Bowers is the safer pick and his position generally commands more $$$ on average. I'd take Bowers. Ideally we trade down, but people are going to cry about that option. I'd trade down to pick 5 or 6 for a 3rd rounder as compensation. Cheap? Hell yea, but it puts us in a MUCH better position and saves us a TON of cash. I don't think anyone is going to cry about that this year but unless someone is in love with one of the QBs there won't be a trade partner. If we could, I love the idea as well and would feel better taking someone like Peterson at 5 or 6. I'd take Bowers as well, Peterson is an athletic freak but has never looked that great on the field IMO. 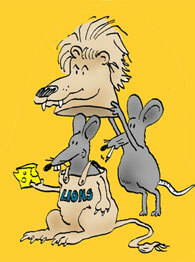 I really think the Lions need to win one more game this year and move lower in the draft. Even if the collective bargaining agreement is changed I still think having the #2 pick is going to cost a lot of money. Which would mean taking Bowers at #2 might make more sense financially. I believe if the do go 3-13 they will get no worse than the #6 pick which would be a better place to draft Peterson or Amukamara. I would go with Peterson because I'll give KVB the benefit of the doubt and hope he can have one more good season. Plus I like LoJack and Avril for now. Willy Young might improve too. While not a huge fan of petersen I do agree with the rest of the points made in all 3 of these posts. And since we just won today, we likely are picking 4-6, whigh is great. And we still have at least 1 winnable game .. in fact I think we win vs the viqueens at home in the final game of the season... and will call it now, whether Hill, Stafford or Stanton starts, and even if Farvererere is back. Id be happy with either one. But the way our defensive ends have been playing lately, I think we should use it on a position on our defensive back 7. I think Peterson or Amukamara would be a wise choice at this point. IF it had to be offense, im one of the few who is really high on Gabe Carimi. Well since the thread assumes that we'll pick at #2, I would rather have Bowers than Peterson. There are a handful of positions that make sense with the #2 price tag and CB isn't one of them unless the guy is a sure-fire stud like Suh was last year. I'm not convinced that Peterson is that kind of player. In truth, I'm not completely sold on Bowers either. Am I the only one who thinks he relies on arm tackles an awful lot? Anyway, all things considered I'd vote for Bowers. Pablo is right about trading down. Nobody trades up into the top 5-10 unless it is for a QB. The only way the Lions are able to trade back is if Andrew Luck doesn't go #1 overall. And if he declares, he will almost certainly go #1 overall. So with that said, let's hope the Lions win a few more games so they don't end up at #2. Maybe they can end up closer to #8-10; then it would be reasonable to grab the best player at virtually any position. Pick #8 is where the money dips down significantly so it opens up the options a bit. I guaranty that people would have traded up for Suh or for Calvin Johnson. People also would have traded up for Orlando Pace, or Jake Long. It just takes a special player. There doesn't seem to be one, yet, but with all of the excitement that surrounds the Senior Bowl, bowl games, and the combine I wouldn't be surprised to see someone be the consensus, coveted #2 that someone would be willing to trade up to get. We won today and would be picking at #5 if the season ended tomorrow. I think we will end up picking 4-8 depending on if we win again or not. So hopefully we are already out of the #2/3 sweepstakes, and will be able to take the best player at the positions we need as a DE or CB (preferrably CB). amakumara, lol, if peterson is there he is the man. i will bet he is off the board before 4 though so then i would have to pull the trigger on prince. its kinda funny last year everybody liked the 2nd and 3rd best cbs better than the top. seems to be a trend lol. i am sure glad we didnt end up with kyle wilson or kareem jackson or whatever that kids name is in houston. hayden and mccourty have played well though. amumkamara has nothing on peterson. i think bowers is better than peterson but there are quite a few good ends. Id say take Peterson to have a big time player in your secondary. Bowers would be a monster especially next to Suh but the guys we have are better than our secondary depth. I'd take Peterson because of his upside and he fills a position of greater need. With that said, I wouldn't be disappointed with Bowers (or Prince for that matter). Unlike some, I trust Mayhew to make the right selection. Pass rushers are always at a premium. Without them, you are nothing. I don't care if your defensive backfield is loaded, you still need to get pressure on the QB. Bowers is a Mario Williams clone.